VoIP market is populated with business VoIP providers. Make sure to choose the best VoIP service and equipment vendor, as this company will be your everyday partner for the most important part of your company i.e communication system. You can read more about VoIP for business by visiting this link. Let's list some of the popular business VoIP providers that offer products and services to companies of different sizes. RingCentral is the leading business VoIP provider, mainly offers cloud-based phone systems to small and medium enterprises. RingCentral designed its systems to help enterprises manage their communications such as mobile, fax and email. For more details such as plans, pricing, ratings, reviews and contact information about the company visit RingCentral link. Jive Communications Inc. is becoming popular for its enterprise-grade Hosted VoIP and Unified Communications to businesses and institutions worldwide. All Jive services run on Jive's core platform. For more details such as plans, pricing, ratings, reviews and contact information about the company visit Jive link. 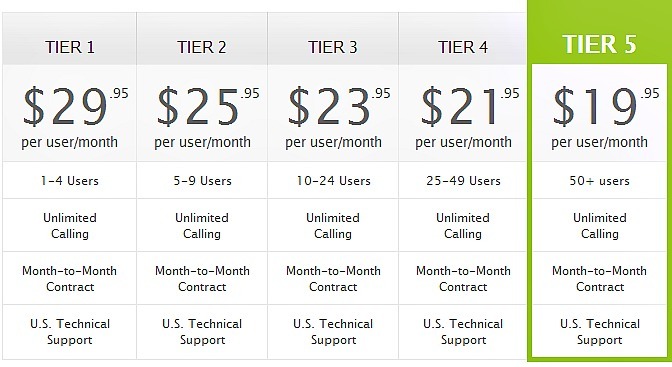 Nextiva is one of the leading business VoIP providers. The company offers hosted PBX and online fax solutions nationwide. The company also provides unified communications, advanced hosted VoIP phones services to small and mid-sized companies. To read more about this provider, rate and write a review continue your visit by clicking on Nextiva page. 8x8 Inc., provides cloud based business communication services to small and medium sized companies. 8x8 was founded in 1987 by Dr. Chi-Shin Wang and Dr. Y.W. Sing, before the name changed it was first known as IIT (Integrated Information Technology, Inc.). To read more about this provider, rate and write a review continue your visit by clicking on 8x8 page. - Is there other business VoIP providers you think/suggest that should be listed on this page? Which one? With several options to choose from, these are only a few examples of companies that are making moves in the business VoIP provider arena. You’ll want to properly evaluate where you are as a business, but most importantly, consider where you want to be. If you are hoping to expand into international markets, be sure to sign up with a provider that can accommodate that. Those hoping to stay in the United States or Canada can find reasonably priced service without counting minutes. Either way, the important thing to remember is that no matter which route you’re taking, it sure beats the heck out of paying the phone company another dime, doesn’t it? Continue to read more about Nextiva.